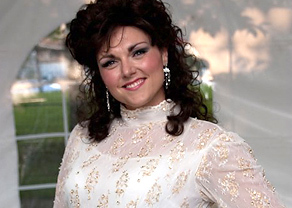 From Patsy Cline, Loretta Lynn, Gretchen Wilson to Connie Francis, Ms. Beatty is one of the most diverse, and sought after tribute artists in North America. Over the last 10 years, Amberley has been wowing audiences internationally with her authentic performances of each memorable star. Amberley’s ability to transform herself into her tribute is a magical experience transporting her audiences back to her legend’s time period. Ms. Beatty has graced stages across North America not only as a Tribute Artist but as an accomplished independent singer song writer and actress playing lead roles, in musical theatre. As a busy mother of 2 she has a very successful career owning and operating her own Hair Salon. 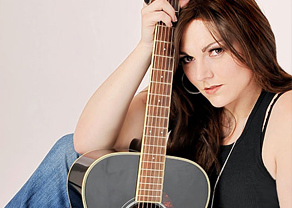 Amberley has recently had a top 10 hit internationally on the European Indie charts, singing a duet with Country legend Allen Karl and is currently working on a new album or original music with JK Gully of Blue Gull Studio. Ms. Beatty’s love of performing has given her the opportunity to meet and work with so many wonderful and talented artistes. 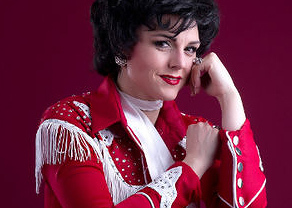 Amberley hopes you enjoy your time with her as she performs your favourites.